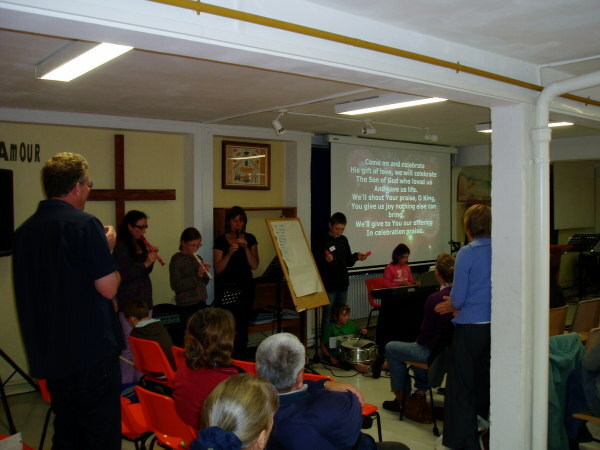 About Us: Information about the Church, including its location. some living in, some working in, some retired in and some holidaying in ........... the Creuse! We call ourselves "Service in English"
service in English, you will be welcomed, whatever your age. Our service is held once a month, at 3pm on the 2nd Sunday of the month in the Église Évangélique, 9b Place Bonnyaud, Gueret. This is when we join in worshipping God through song, a time of prayer, and a sermon. We also share together in Communion, the breaking of bread, with all those who believe in and accept salvation through Christ.